Brandy is very interested in how to drive the Scion xB. And sometimes, Brandy is SOOOO entranced with learning how to drive the Scion, I can sneak a kiss. My favorite girlfriend is Brandy; tall, lanky, sort of distant with me…but she let’s me do whatever I want with her and she never gets mad at me. 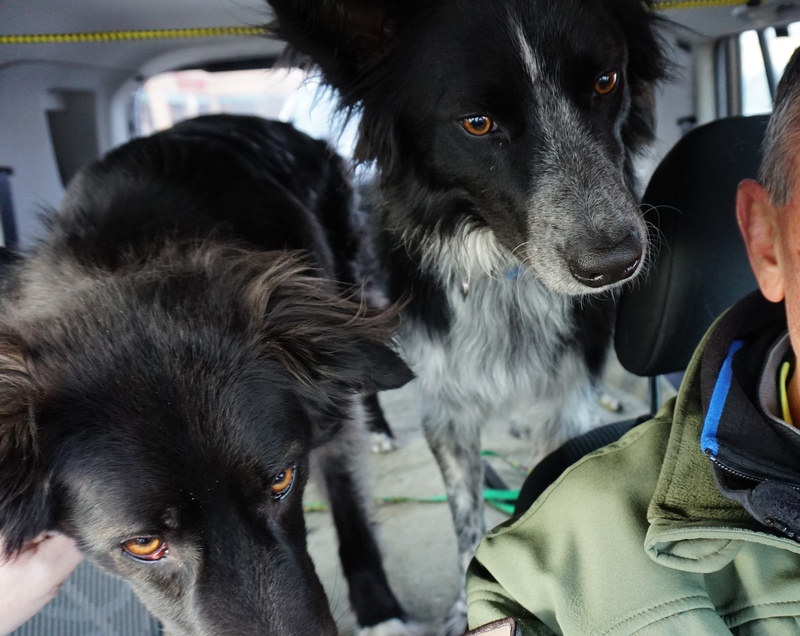 Anyway, we went bye-bye in the car together in My Dad’s Scion xB, this afternoon, TO THE DOG PARK! Oh, and Brandy’s Mom, Donna, went with us, too. 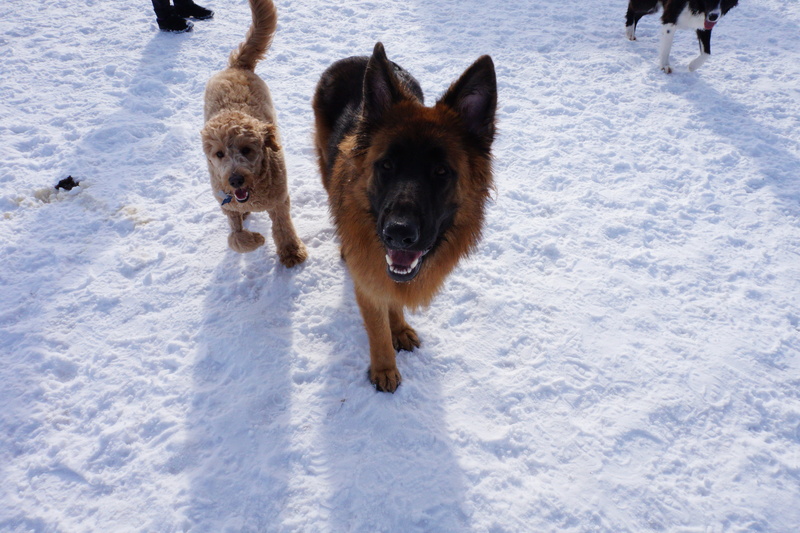 And guess who showed up at the Dog Park, a couple minutes after Brandy and me? KIP! Remember Kip? 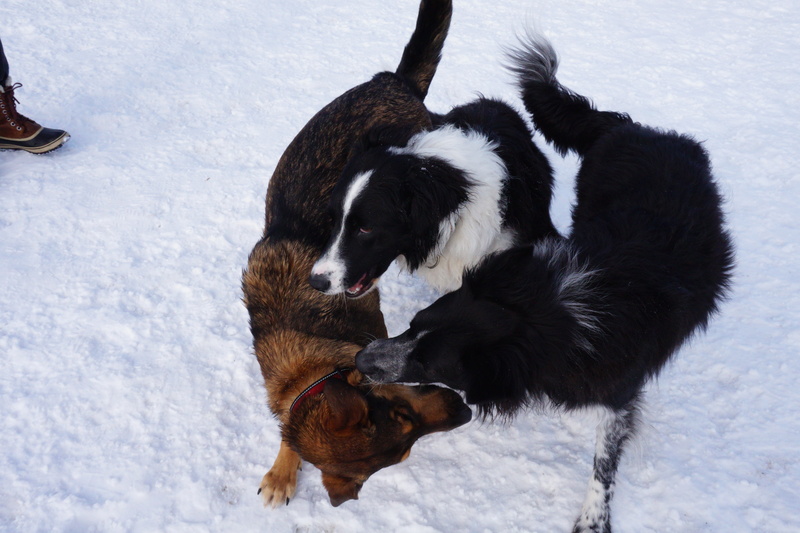 He is the English Shepherd-Border Collie mix and we always have a great time together. 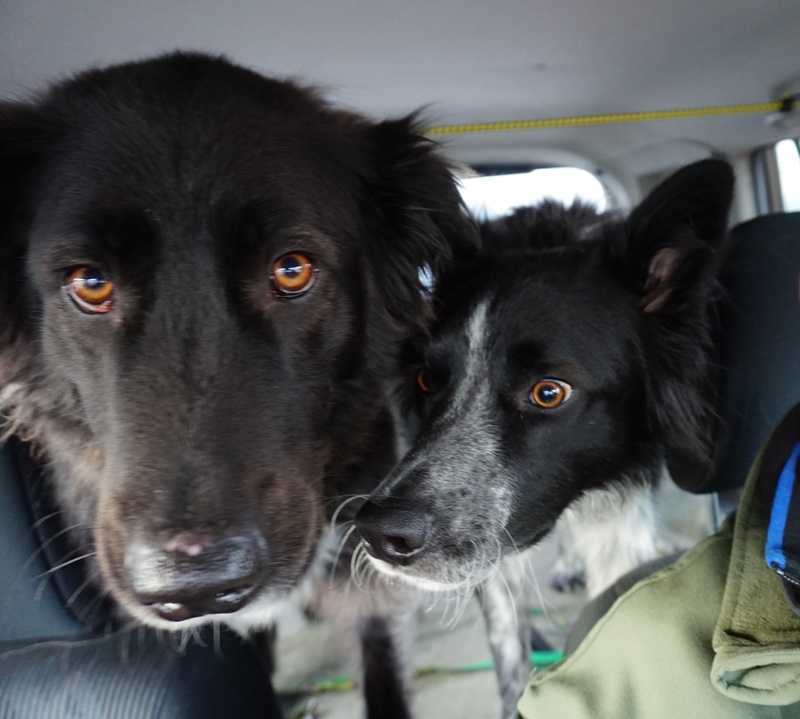 Kip had this great idea, or, was it mine…anyway, we started double-teaming other dogs. We’d pretend we didn’t know each other, but then we’d come in on coordinated strikes. Kip likes to come in low, from the side or front, while I like to fly in, chest-to-chest. We had a great time! 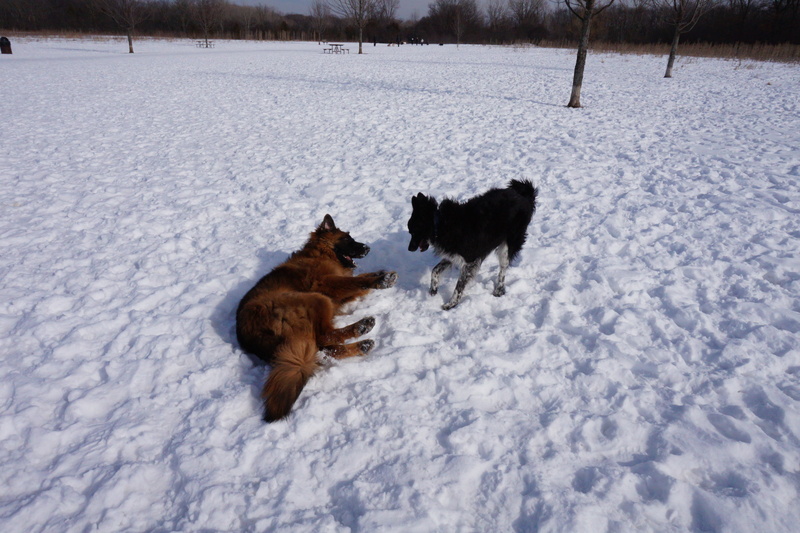 Kip and I had discussed how we could double-team other dogs…we were just playing. CASH, a German Shepherd dog, was only nine months old but weighed about 80 pounds. He was a nice guy, we wrestled…until Kip showed up. CASH and BODHI…they were both good play-fighters and nice guys! 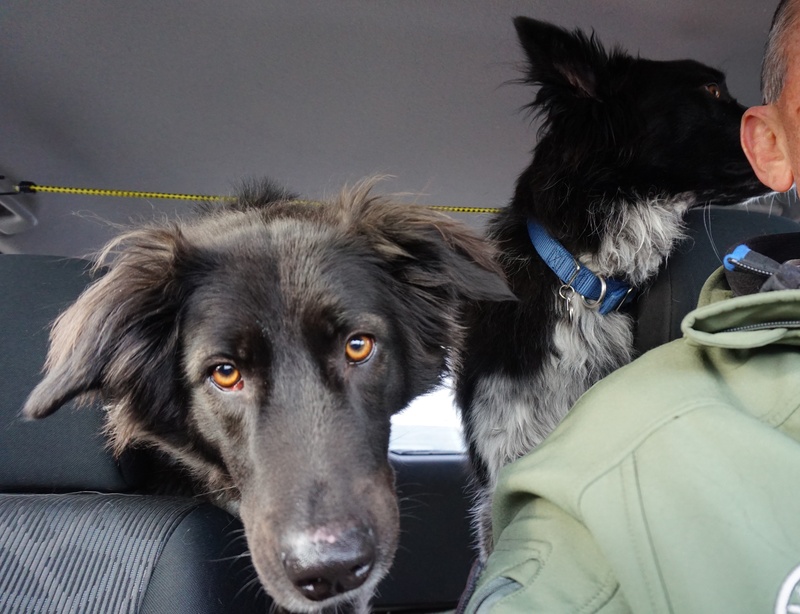 This entry was tagged border collie, border collie rescue, border collies, dog, dog behavior, dog rescue, dogs and people, life with a dog. Bookmark the permalink. Look at those eyes!! Absolutely gorgeous. Looks like you had a blast!!! Glad daddy is braving the snow to make sure you stay entertained buddy :-).